The holidays are right around the corner, and people everywhere are hitting stores in search of the perfect present. Competing with big box retailers is tough regardless of the season, but with more shoppers on the prowl for the perfect gift, you’ll need to find a way to stand out from the crowd. Here are three things you can do to boost engagement with your customers and remind them to add your wares to their shopping lists. 1. Create a fun holiday newsletter. Never underestimate the power of well-crafted newsletter. Seventy-three percent of millennials prefer email communications — that’s a huge market you can target with holiday-specific information. • Season’s greetings! Look for our holiday sales starting this weekend. • Tidings of comfort and joy — and a holiday well-gifted. Check out our gift guides today. • Roast more than chestnuts this winter. See our top three holiday roast recipes. As I mentioned above, shopping is huge during the holiday season. The National Retail Federation notes that nearly 30 percent of sales last year for retailers were reported during the holidays. Now more than ever, try to find ways to appeal to shoppers to boost your year-end numbers. Gift guides and baskets. Guides are a great way to showcase how well your products complement each other. Include downloadable or pinnable guides in your newsletter emails, as well as in easy-to-find places throughout your site. Guides not your thing? Go for pre-made gift baskets. For on-the-go buyers in need of a quick gift, there’s nothing better than a thoughtful arrangement of fun and useful items. Promos and discounts. End-of-the-year sales. Black Friday discounts. Small Business Saturday finds. Cyber Monday steals. Tis the season for coupons and promos, and if you can find a way to incorporate some savings into your offerings, shoppers will flock to your store. Even if free shipping is all you can manage, advertise your savings wherever you can. Gift cards. According to Gift Card Granny, “an estimated $26 billion was spent on gift cards last year during the holidays.” Gift cards are great for the holidays. Shoppers don’t have to worry about getting a gift receipt or if Johnny will like the Tonka truck stuffed in his stocking. Gift cards allow the recipient to purchase whatever they please, and they tend to be more personal than a fistfull of bills. 3. 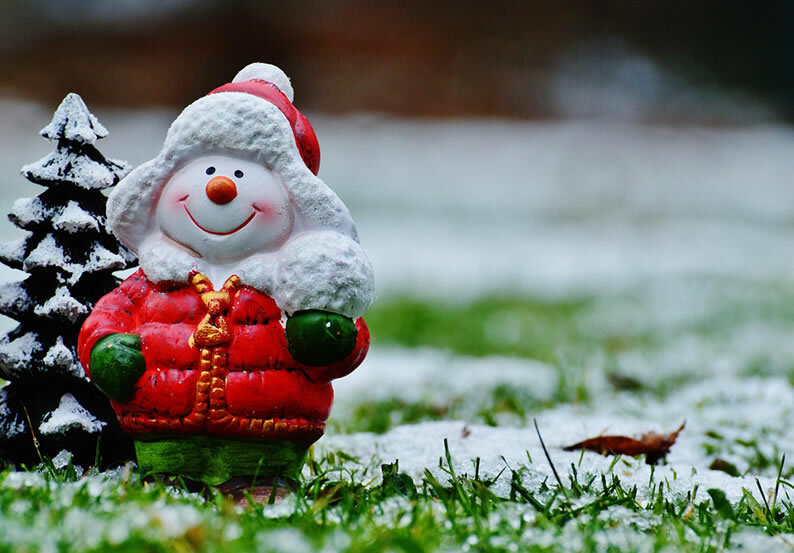 Add cheer to your SMB blog. By now, your small business is totally onboard with blogging, right? Right. Blogging is a fantastic way to connect with your customers while still promoting your brand. By focusing on your customers’ needs this holiday season, you’ll inspire trust in your readership. Engaged, happy customers share stories about your business. Tweet out tidbits of excitement. Instagram pictures of presents and leave raving reviews. No matter your tribe, there’s bound to be a handful of posts that you can create to celebrate the holidays. Play up the festive theme, but stay true to your company’s values. Don’t get overlooked this holiday season. You’re sure to snag a bunch of shoppers with a festive newsletter, year-end sales and a cheery, holiday blog. Your business — and your customers — will thank you. Happy holidays! Bio: Maxym Martineau is a copy editor and staff writer for GoDaddy. She’s an avid reader with an unhealthy addiction to Dr. Pepper and chocolate. She binge watches TV shows like there’s no tomorrow and is always up for a good plot discussion. You can follow her on Twitter @maxymmckay for further shenanigans.